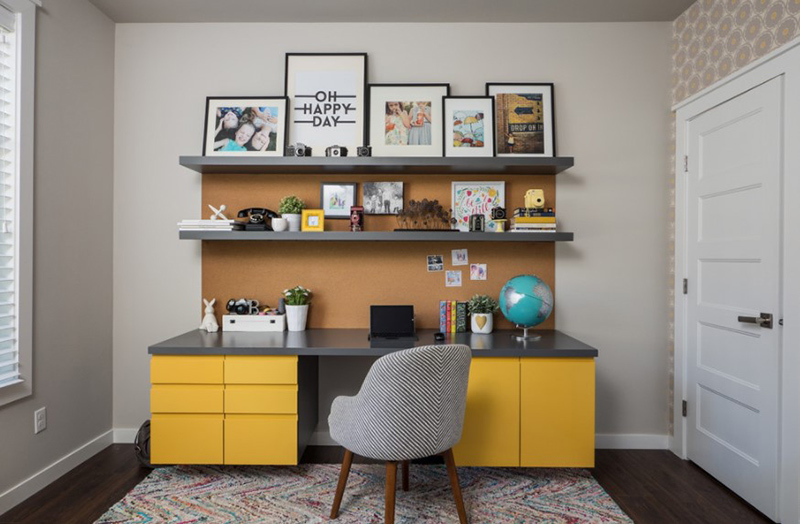 Updating your home office? Here are some ideas for you. If you are working at home or you bring your work to the house from the office, you would need your own home office. Having your own working space will make it easier for you to perform different tasks with less distraction. Having a home office isn’t just about putting a desk and a chair together. 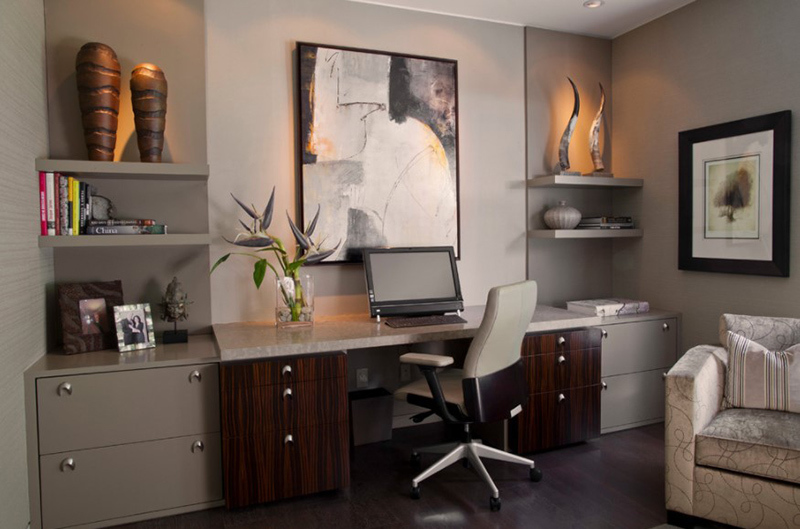 There are things that you need to consider in organizing your home office and designing it. 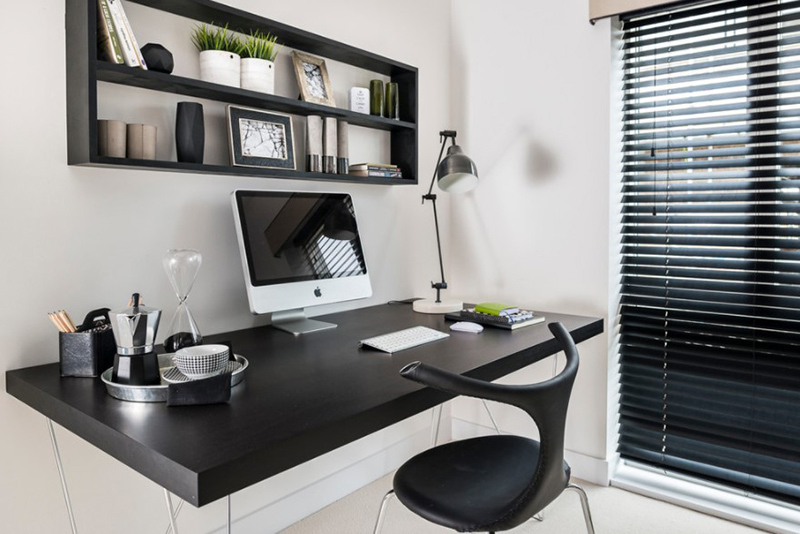 Are you currently on the look out for new home office ideas? 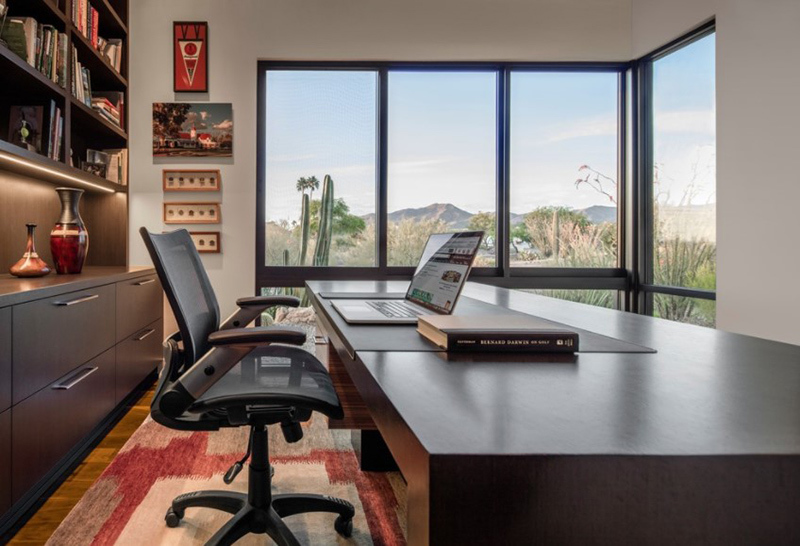 The good news is, we have some amazing contemporary home office designs for you today. You will be able to get idea on how to do the layout and how to decorate your home office. Just scroll down below and take a look at what we have collated for you. 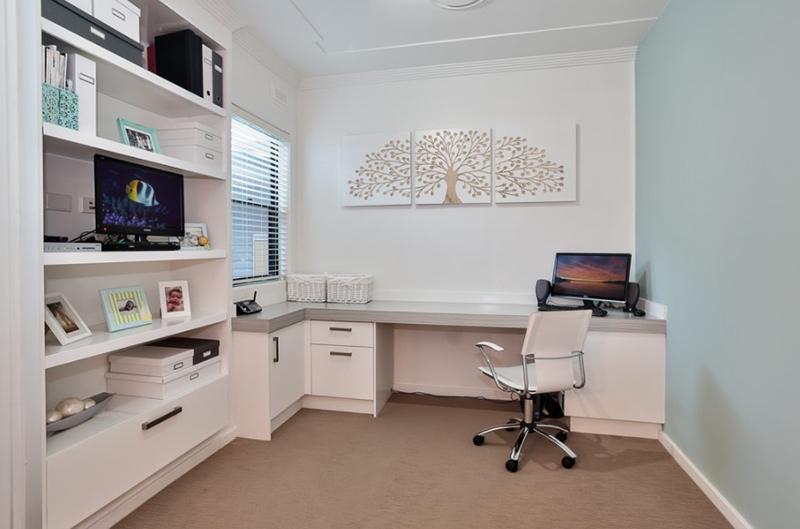 Such a neat and sleek looking home office in white colors. It also overlooks to the cityscape below it which is a nice view to look at while working. 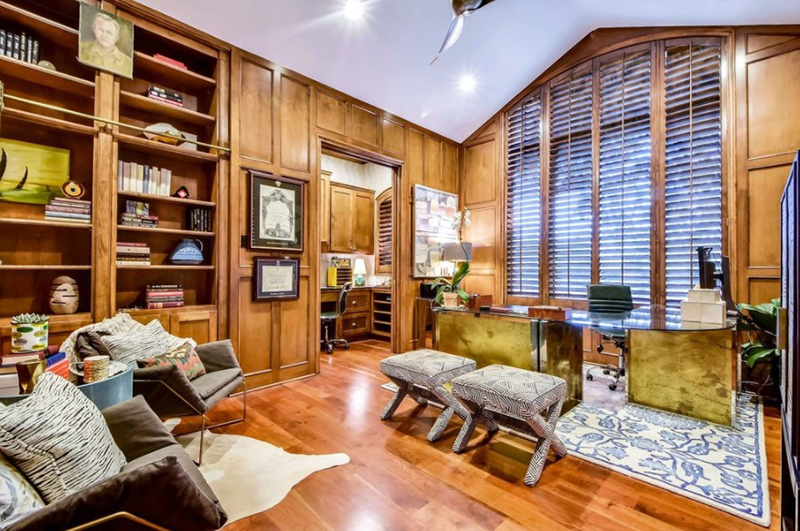 This home office in Houston with gray walls, medium tone hardwood floors, a freestanding desk and gray floors looks like owned by a professional because of its design. 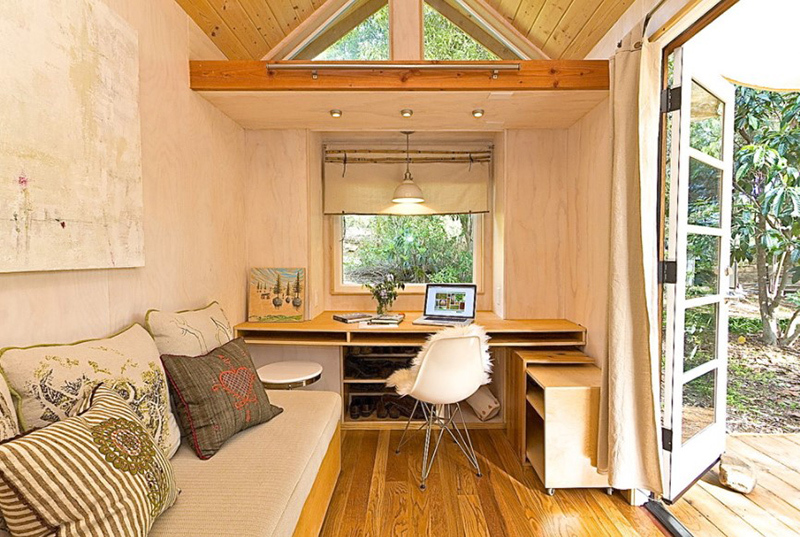 This home office is part of a tiny house. You’ll be amazed if you see the rest of the house! Lots of natural light brings the outside in and expand the feeling of space. That flower in a pot on top of a stool looks really cute! It brings some refreshing aura in the room especially that it is located near the window. The blue area rug breaks the monotony of the white and wood combination. This looks like a space for a mother with all the inspiring photos of her kids on the floating shelves. Don’t you love the way everything is arranged in here? It looks like the owner of the home office means serious business here. 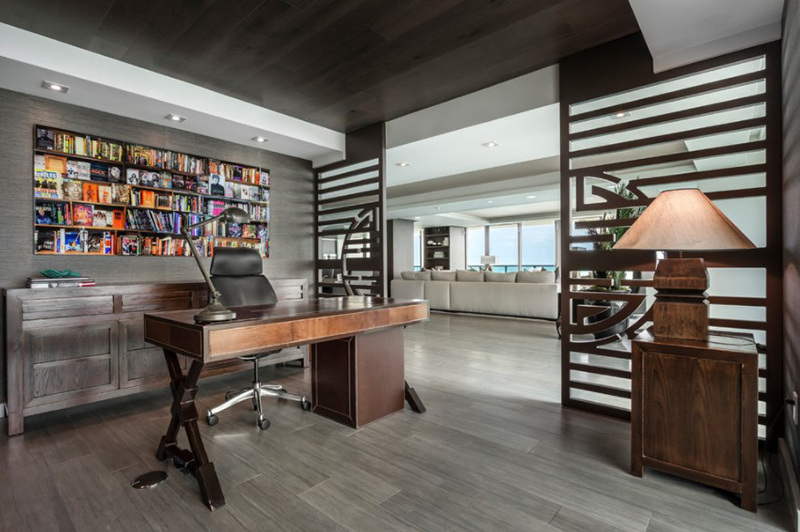 This one looks really intimidating but I know you will agree with me that this is an ideal home office design that is well-organized and neat. Just a simple contemporary home office made from wood. Isn’t it amazing that you can actually close or hide your office when it is not being used? 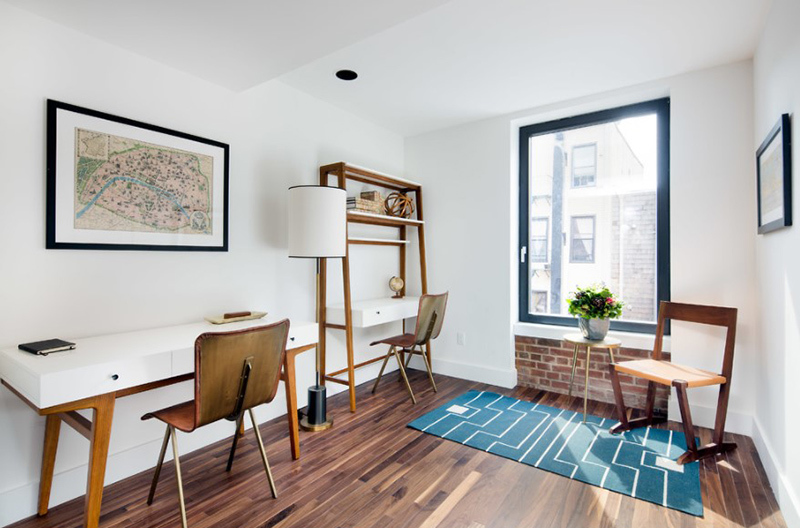 Because of the medium tone hardwood floors and wooden walls, this space looks a bit busy. Aside from the glass desk there is also another working area located in a small room. 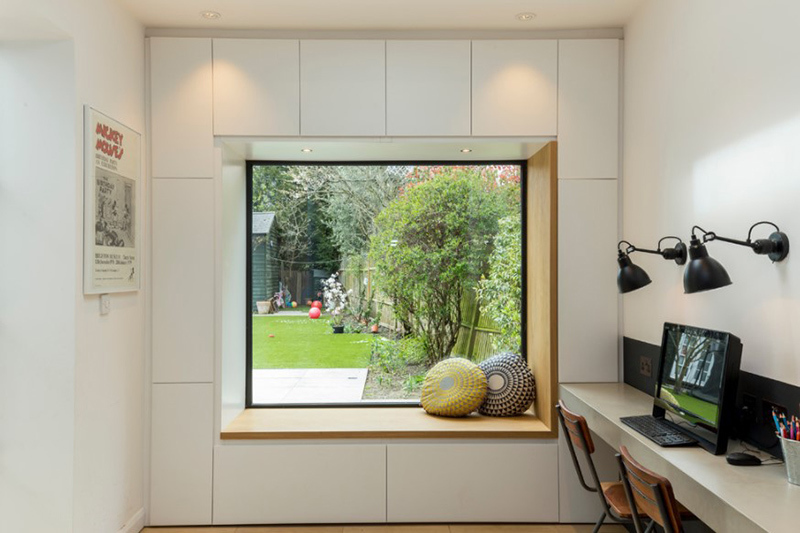 Yes, we are interested with this home office but what is even more interesting is the window seat that is created with the cabinetry. And I also love the designs of the throw pillows too. Now that is one spacious home office! Not just one or two people can work here but an entire team can be productive in a space like this. It is also a good idea that it is facing the pool for a refreshing feel. Love the blue colors here! It looks like part of the blue and black apartment in Singapore but of course it isn’t. This contemporary study room idea shows us that we can actually turn any part of our home into a working or stuyding area. If you are blessed with space, you can always do something similar to this with a larger table and some storage spaces on both sides. Having a home office like this gives you the feeling that you have your own space and no one will ever distract you while working. And if you need some drink, you can simply wheel to the other side. I could remember the 86-foot apartment in Paris when I saw this office. 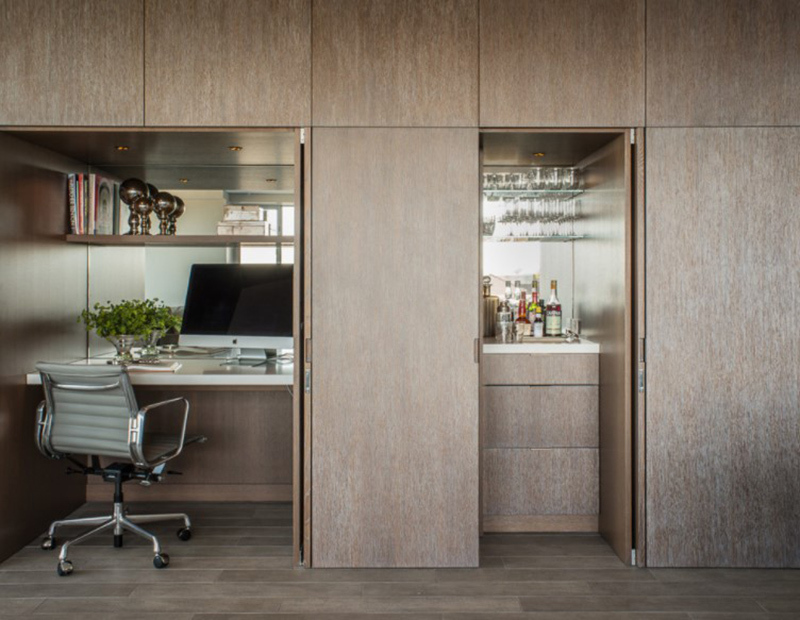 This isn’t just a home office but it also features an en suite wet bar. This means that once the owner gets tired or whenever he feels like getting a boost to his energy, he can always grab a glass of wine. This black and white office looked nicer with the wall decors in it. 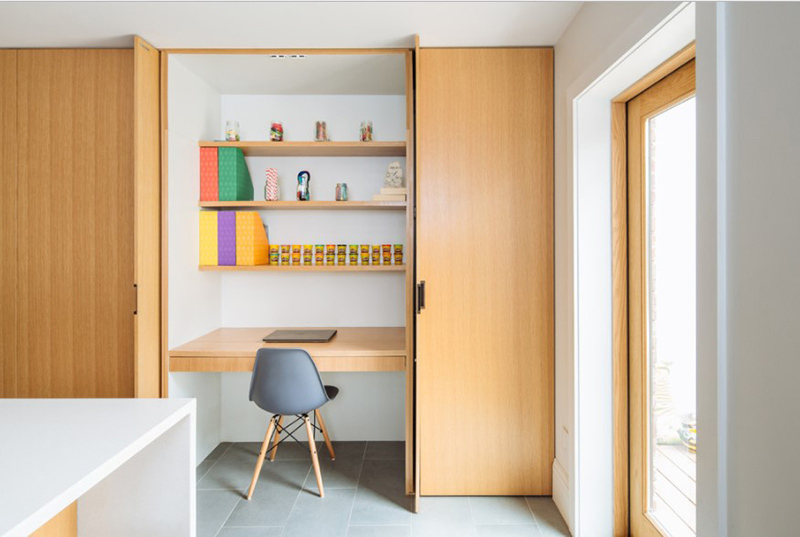 This contemporary home office in Sydney comes with a built-in desk and some tall open shelves for storing different items. When I first saw this home office, I was reminded of the lime green accents in the bedroom since this color is also used in the area. There is also a nice contrast between the white walls and dark hardwood floors. 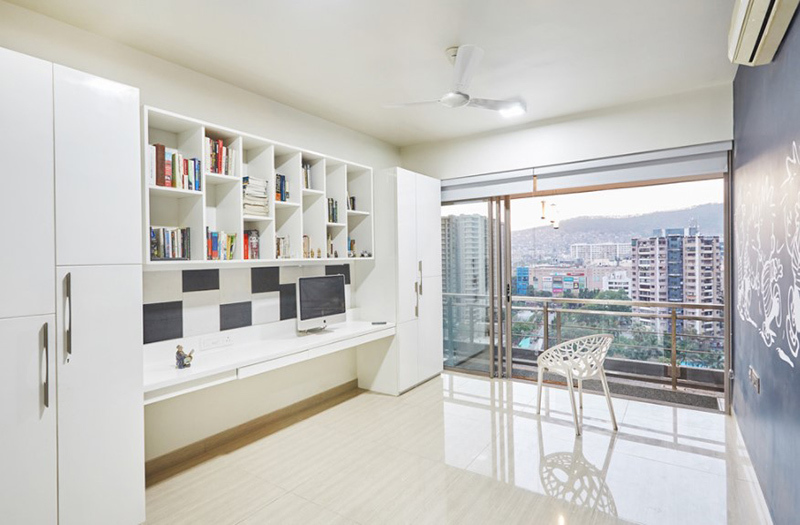 Seen here is a small trendy study room with white walls. I love the black and white colors here and how sleek everything looks like. Apart from a freestanding desk that sits on beige floors, the wall shelf is a nice feature too. The home office is located in the living room wherein you can see a fireplace with hidden TV. One look at this will give you a hint that this home has a luxurious design like these Mediterranean spaces. Interesting wall design, right? Aside from a wall of books, a working area is added in the central part. This is indeed a good idea in order to save space. Studio H Design Group, Inc. 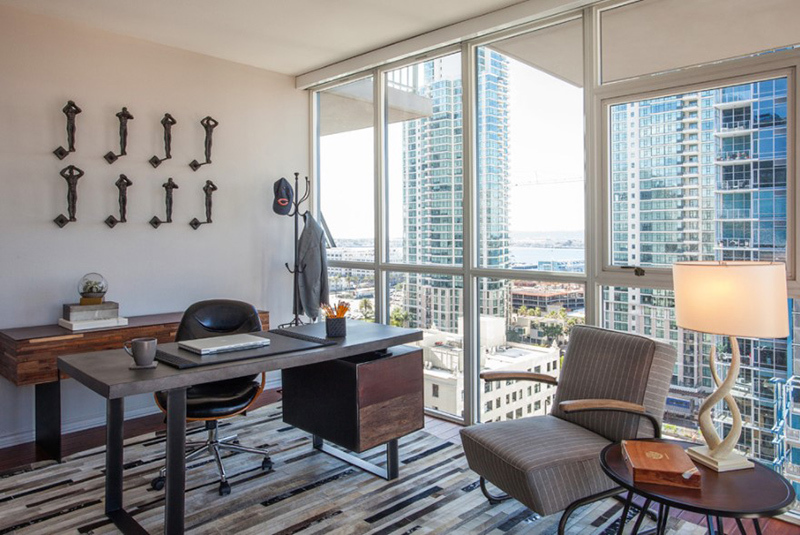 This home office is located in the condominium and has many nice features in it from the design of the desk to the hooks on the wall. The designs above will definitely help you come up with your own home office look. Just remember that you don’t have to copy what you see in other spaces. What is important is that you are able to make things work for you in terms of storage, location and position of your work station. Also, feel free to choose the colors and decors in it. This way, your personality will be seen in your own office which is important so that you are always in the mood to work. 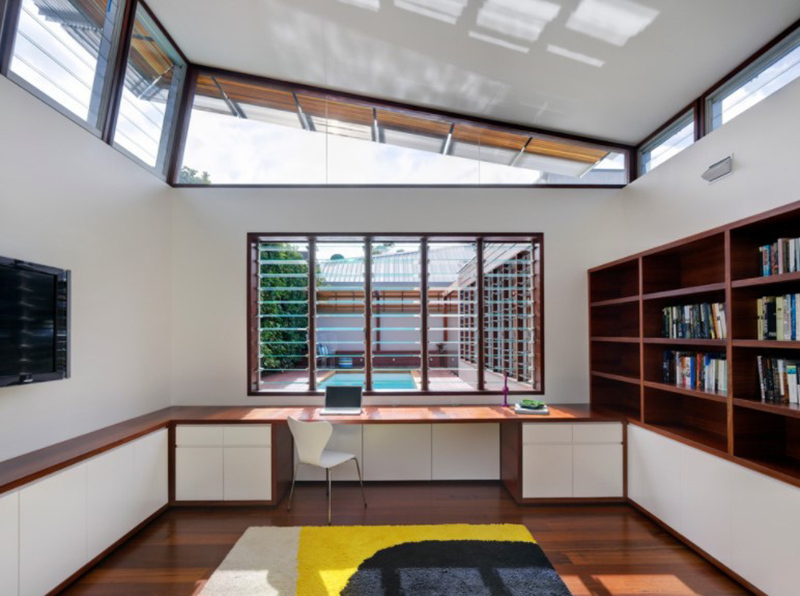 Can you tell me which of the above contemporary home office designs do you like the most? These home office designs are really amazing. I just love them. All are beautiful. These workspaces look so sleek. I feel like I could be much productive if I had a nice clean and streamlined workspace at home like the ones you showcased. Everything is so chic and and pretty I loved all the great inspiration. All of these are such a great concept. All the designs are wonderful, but my favorite is number 3 Vina’s tiny house. Truly inspired, thank you for this.